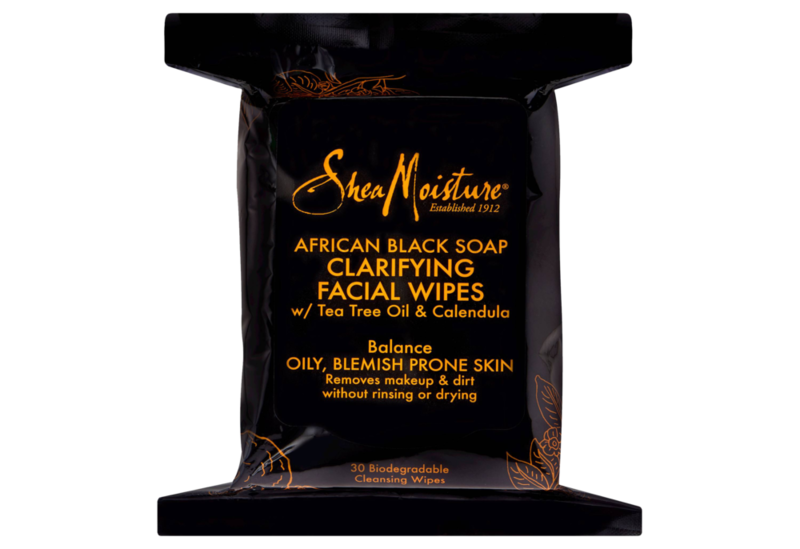 I wipe off any makeup and dirt with Shea Moisture African Black Soup Facial Cleansing Wipes. One of my biggest tips for keeping your skin clear is to wash your makeup off before you go to bed. There are no excuses! With cotton pads, I apply rose water witch hazel as a toner. It's really refreshing and has a nice, soft scent. I smooth on vitamin e oil, which makes my skin look fresh and feel so soft by the morning.